Stone Breath: Werewolf Songs + Grave Needs available now! Stone Breath Werewolf Songs lathe-cut record out now! LIMITED TO 33 PHYSICAL COPIES. A 4-song ep from Stone Breath, Werewolf Songs, continues from the folkloric Fire Beyond the Seventh Gate into a new set of intricate and driving lycanthropic songs. Recorded in late 2014, Werewolf Songs is the first studio output of the current Stone Breath live ensemble (Timothy, Matt Jackson, Zach Nace) – with a full length forthcoming in 2015. AFTER the entire physical edition is sold, the music will be available digitally from the Stone Breath Bandcamp page. 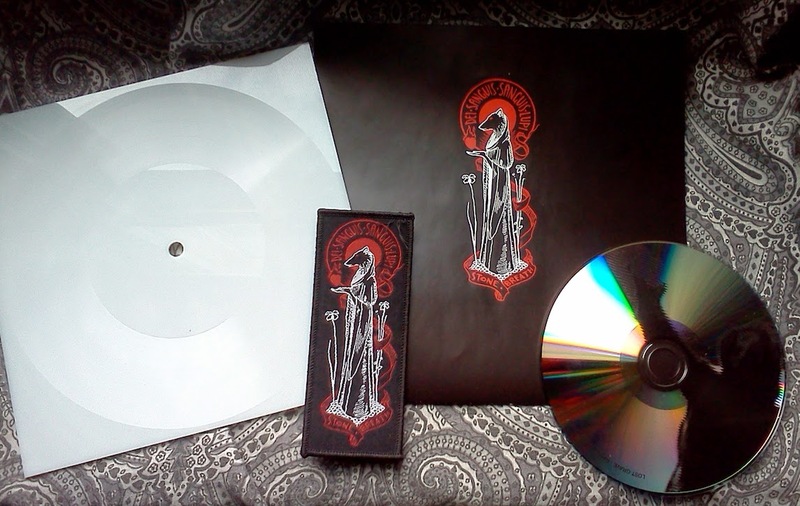 Fire Beyond the Seventh Gate, the first Stone Breath lathe-cut record sold out almost immediately! A note about the record: do not expect lathe cut records to have the same quality as vinyl records. this record is cut into a white acrylic material. the grooves are somewhat shallower than standard – sometimes it takes a couple tries to situate the needle correctly – but the records do play. Order Werewolf Songs from Dark Holler Arts or the Stone Breath Bandcamp page. 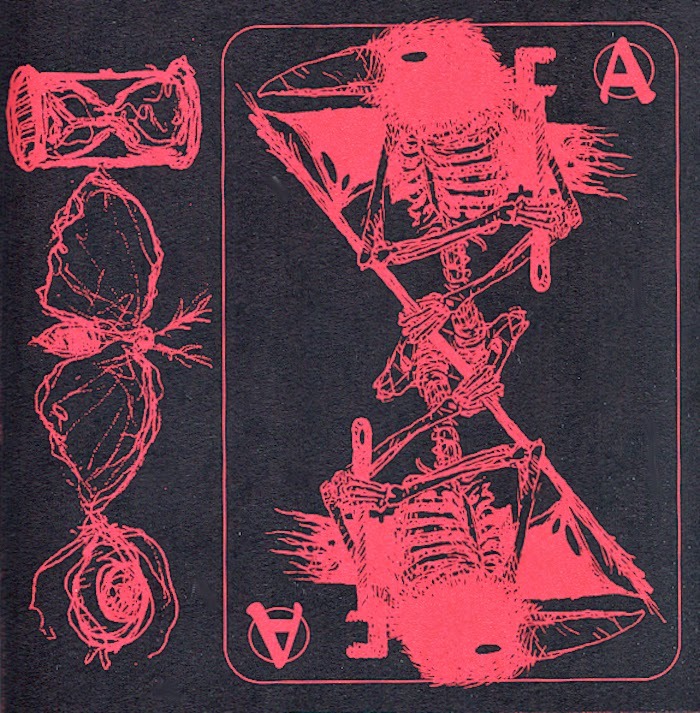 also of hopeful interest, Timothy (Stone Breath, Albatwitch) with the help of some talented friends has put together a 2CD set, Grave Needs - the second Time Moth Eye release, following 2012’s Undeath CDr + art booklet with another all-new collection of art and music. 27 songs across 2 CDrs plus a 28 page fully illustrated, hand-lettered lyric booklet. 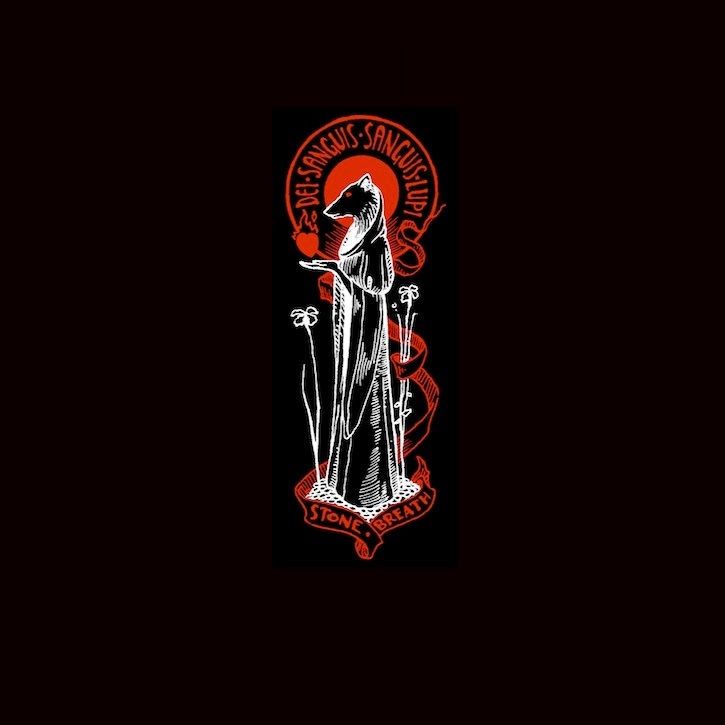 Grave Needs is a brew of anarchist protest, post-apocalyptic folk, and acoustic-drone witchery. 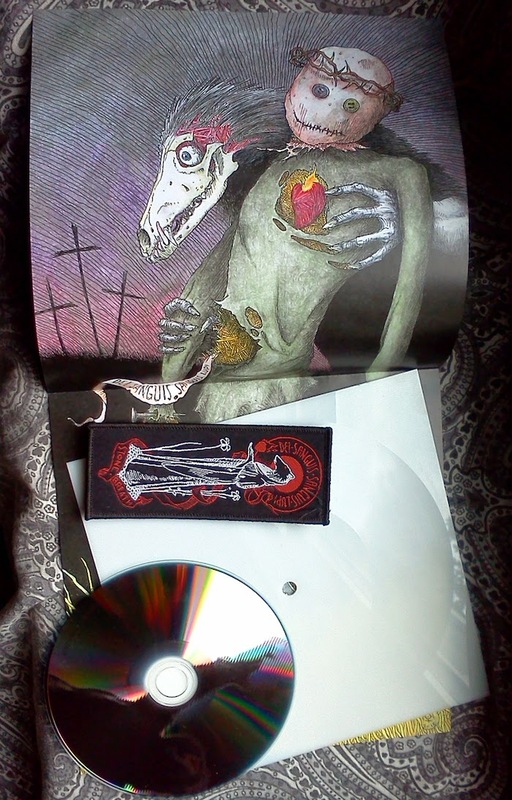 Order Grave Needs from Dark Holler Arts or the Time Moth Eye Bandcamp page.